Post Ceremony: Instrumental versions of our wedding pop song repertoire. 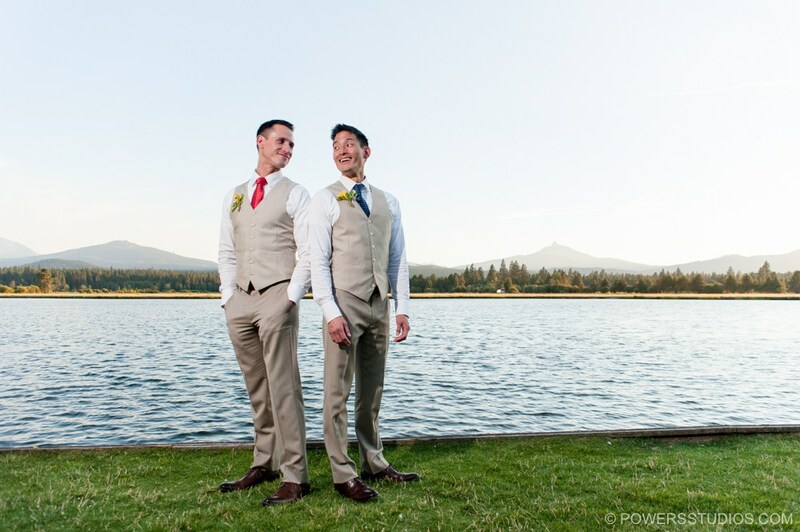 Black Butte Ranch in Sisters Oregon is one of our favorite venues in the region, and the union of Spencer & Lucas was the first Oregon Gay Wedding for the Ashlings, so we were really excited about this one. The day was picture perfect with the Cascade Mountains reflecting perfectly off the small lake in front of the lodge, as paddle boarders lazily floated by. 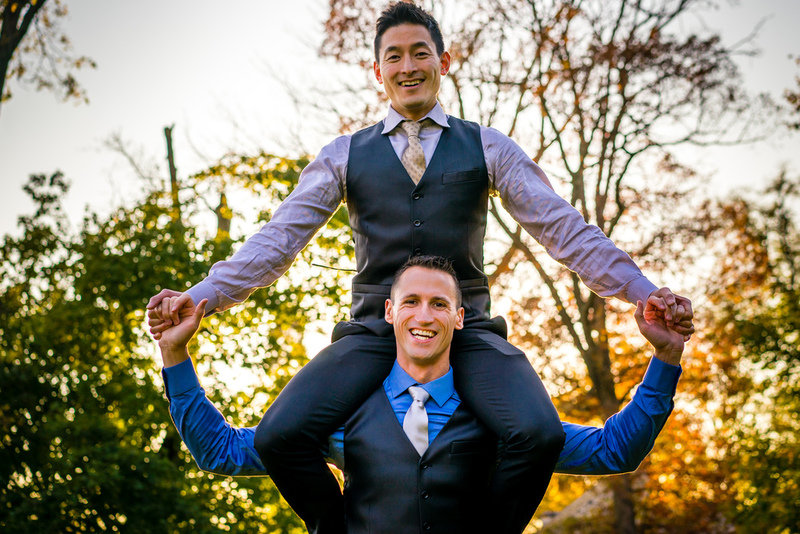 The couple was dressed in elegant light sand-colored suits with matching vests underneath, with contrasting red and blue polkadot neckties. 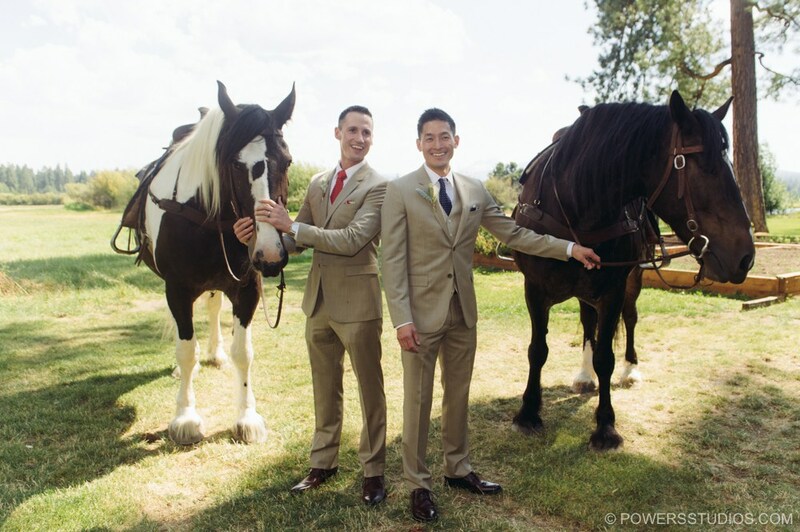 They entered on huge Clydesdale horses who were more interested in exploring the beautiful property then properly transporting the grooms for the processional, but how can you blame them? Once back on track they delivered Spencer & Lucas to the back part of the aisle and they walked down together as we finished the most emotional section of Pachelbel’s Canon in D. We got to hear the story of how the couple met, and there was a lot of emotion in the crowd as they read their vows. This couple was truly international. They had friends visiting from literally all over the world. The DJ set up as we were closing up shop, and I was able to steal a photo of the couple together amidst the announcements and gratitude speeches. 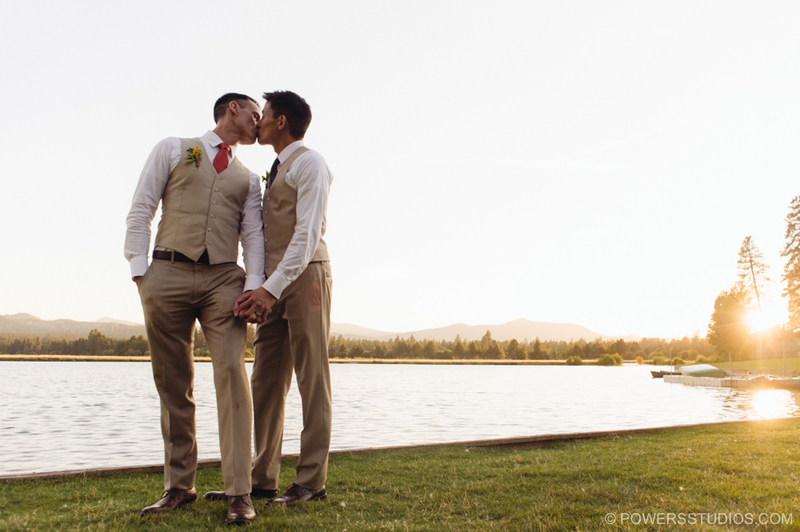 The rest of these shots are taken by Powers Photography Studios out of Portland, and they are incredible photos. Enjoy!